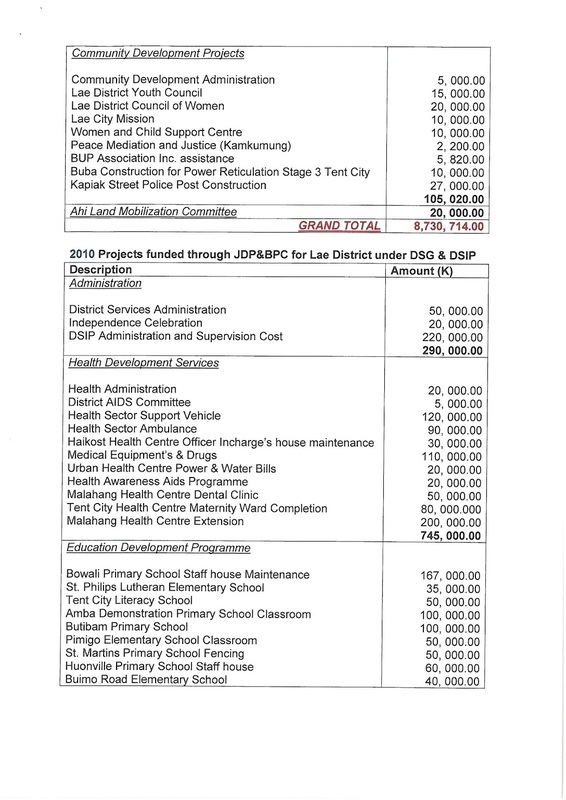 Lae district administrator Robin Calistus has released the Lae Open Projects and Programme Funding under the Joint District Planning (JDP) and Budget Priority Committee (BPC) under District Support Grants (DSG), District Support Improvement Program (DSIP). 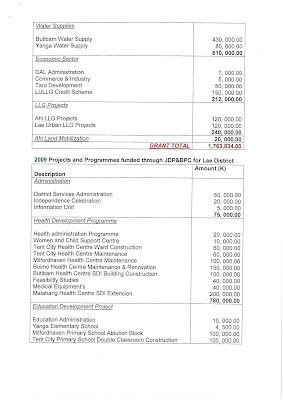 More than K23 million ( K23, 003,322) was spent priority sectors of health, education, district transport infrastructure, law and order and community development projects such as water supply. 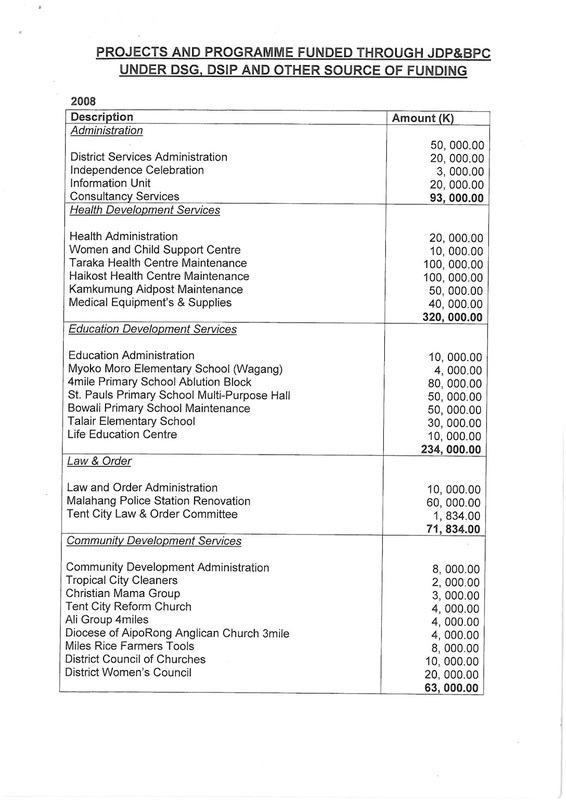 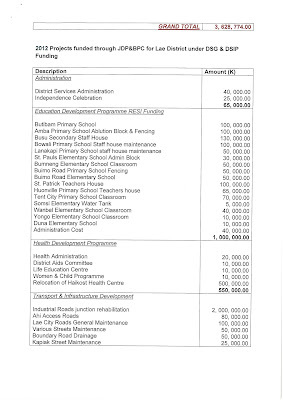 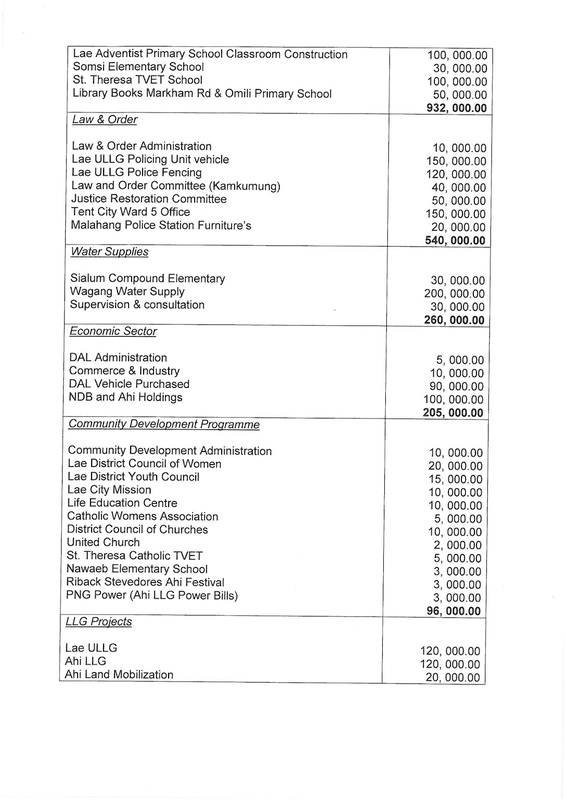 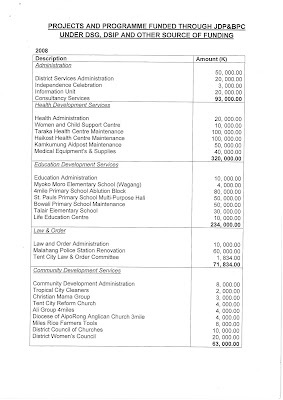 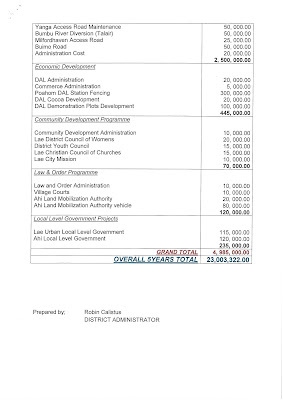 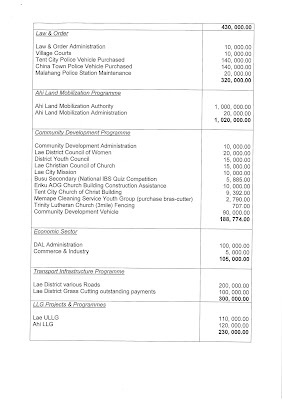 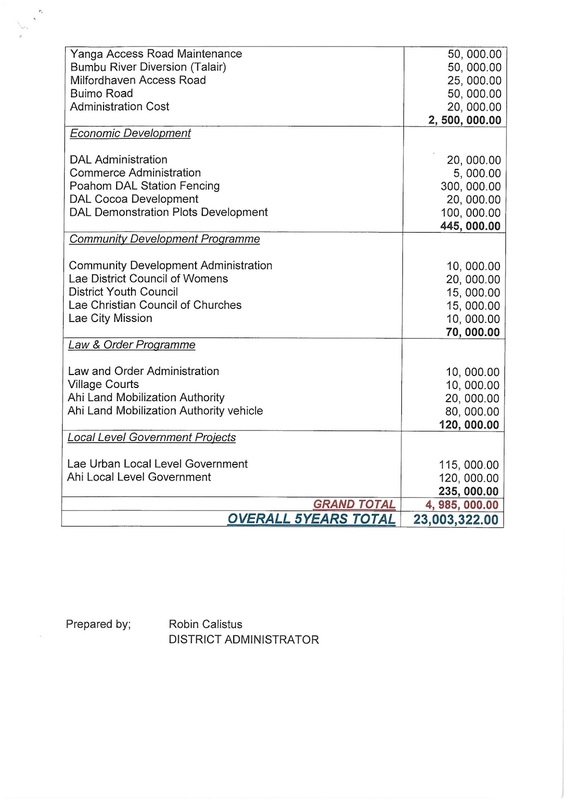 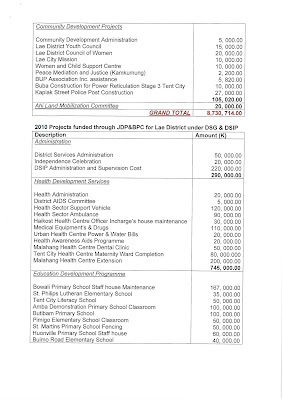 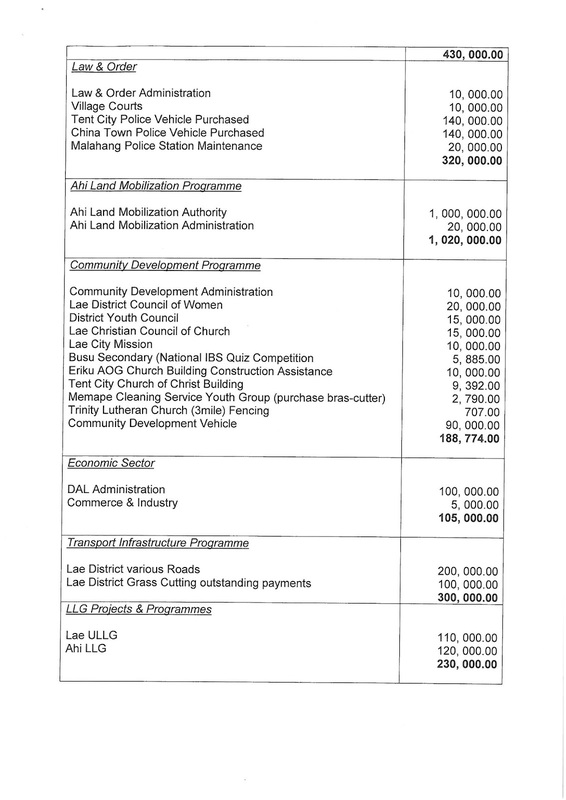 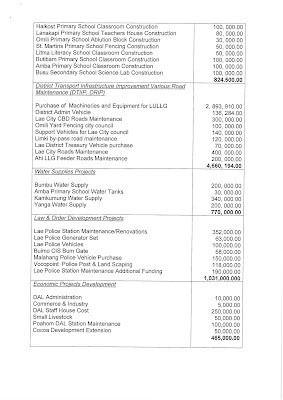 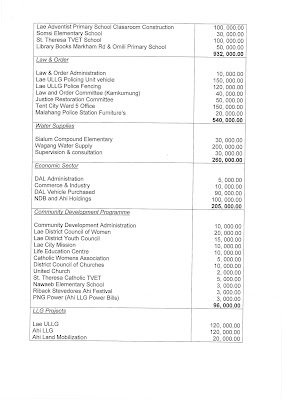 It is important for all residents of Lae District to take time in reading this document to form their own view of what Honorable Bart Philemon has done to the funds for Lae District from 2008 to 2012. 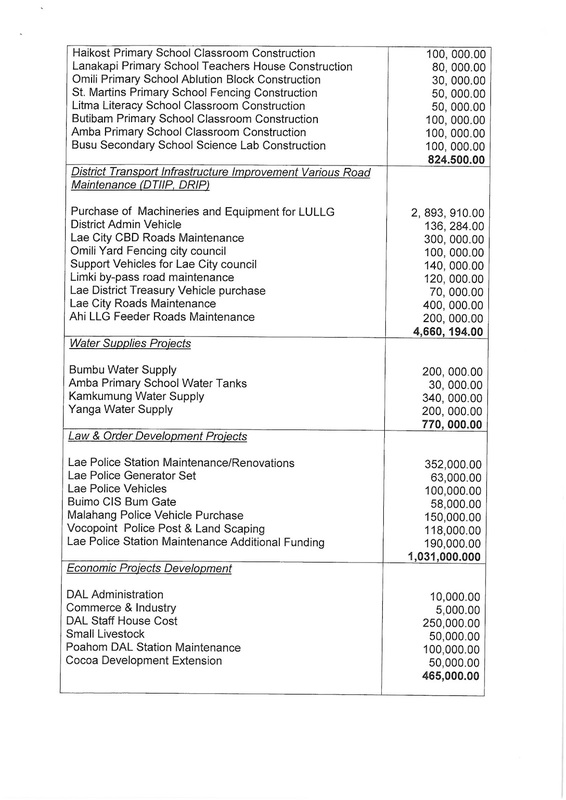 There are also many misconceptions about the funding and responsibility of the road rehabilitation of the Lae roads. 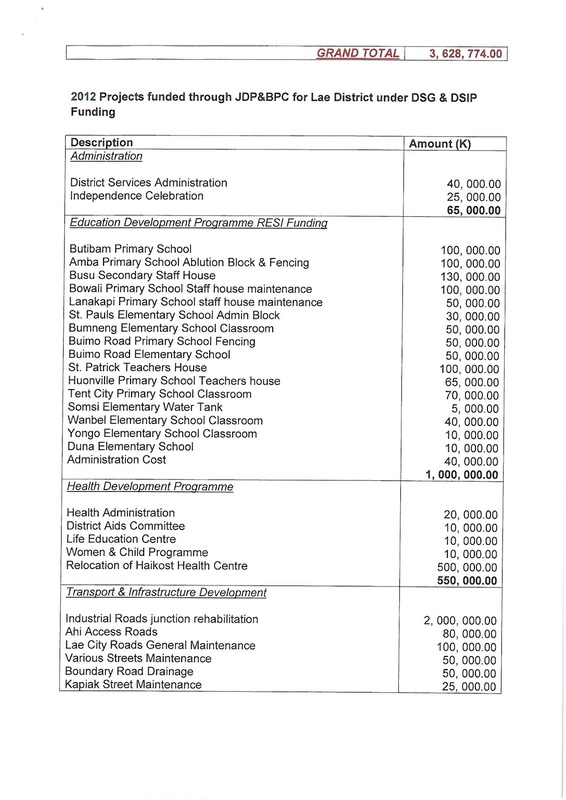 Funding is the responsibility of the national government under the Minister for Transport and Department of Transport. 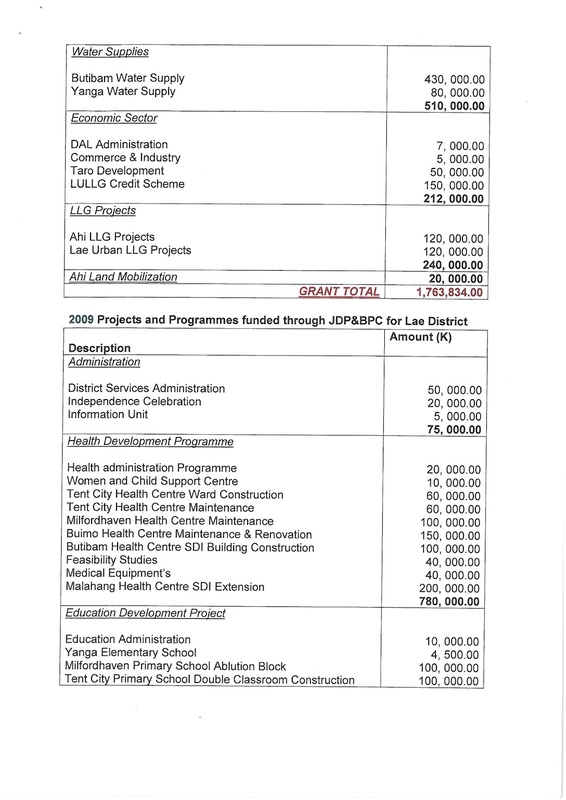 This is great - although as always, this sort of information raises more questions yet again!